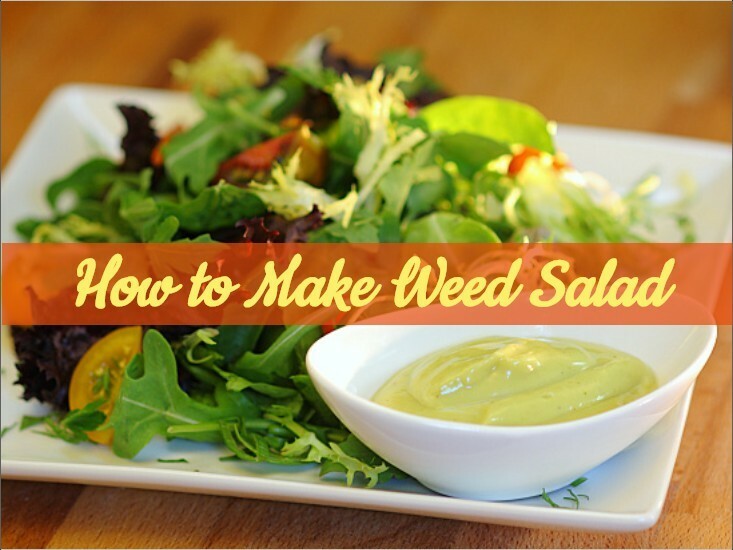 Personally, I don’t think there is such a thing as a “recipe” for making a summer salad, weed-infused or not. Salad is inventive. It is a reflection of the chef’s personality on a plate – or in a bowl, if you prefer. It should also reflect one of the four seasons. So, as we are approaching the summer months, I thought a summer weed salad would be a good idea. This “recipe” is simply a guideline of ingredients that can be used and also includes some interesting “twists” that should add a little pizazz to your dinner party. Mix and match from the following salad ingredients. I have highlighted my favorites! Mix ingredients in the correct order to achieve a good result. Lastly add the salt and pepper to taste, together with theground weed, and pour into an airtight glass container with a lid. After combining the mustard and honey, do NOT add the oil too quickly because it will fail to incorporate and will float on the top. Add the vinegar more slowly to the mixture than you did with the oil and remember to continue whisking throughout the process. You can substitute balsamic vinegar with another of your choice, depending on what type of flavor you want to achieve. Now that your salad dressing is ready to use, begin constructing your salad. Roughly tear spinach and beetroot leaves and add to your salad bowl. Add chopped cucumber, mushrooms and zucchini. Add finely diced chilies, garlic and peppers. Add grapes and chopped watermelon. Arrange arugula and asparagus on top and gently toss all the ingredients to mix well. Now drizzle your salad dressing over the salad and with your hands gently mix together all the ingredients in the bowl. Arrange nasturtiums on top to decorate. I ALWAYS add blue cheese to this salad. It is a simply scrumptious combination, particularly to offset the sweetness of the watermelon. Grapes are an optional choice, as are apples. As I mentioned at the start, salad making is a reflection of individual style and taste. Use whatever ingredients float your boat but NEVER forget to add that all-important ingredient – weed with a THC level of your choice!